University Air & Heating offers air conditioning, heating, and hvac system sales, prices, bids, and estimates. University Air & Heating is a family owned sales and service company that has been serving Plano, Richardson, Allen, Frisco, and North Dallas since 1970. Your heating, air conditioning, and replacement sales needs are very important to us. 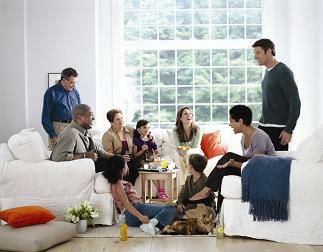 Experience and indepth knowledge allows better customer guidance when you select your comfort system. Sales estimating quality is very important. Each system must be properly matched to obtain maximum performace and efficiency. Some air conditioning components can be quoted via phone while others require a visit. Home reviews verify support requirements such as access, electrical, duct sizing, drain lines, and pad sizing. The customer and University Air & Heating can discuss any questions, come to a sales agreement, and schedule a job start time. University Air & Heating , which offers customer sales and service, recommends other air conditioning sites to visit such as Hvac Web Tech and The Hvac Source. Most of University's customers are located in Plano , Richardson, North Dallas , Frisco, and Allen . We have been delivering outstanding sales and services to our customers for two generations. We service our customers the way we would want to be serviced. When it comes to replacing Hvac systems, go with quality equipment. 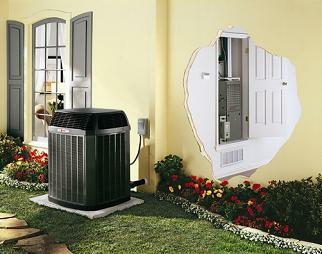 Trane Air Conditioning is outstanding equipment. Quality materials are employed throughout every job. Reliable designs and top workmanship add to your long term family enjoyment.